Olympique Marseille will be aiming to put an end to their three-match winless run in the Ligue 1 when they host Nimes at their Orange Velodrome on Matchday 32. OM suffered yet another dip in form, but they are still in the race for a place in European competitions. 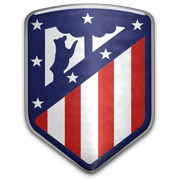 Rudi Garcia’s team produce much better showings at home than on the travels and it has to be noted that they recorded four wins in previous four matches at their Orange Velodrome. Mario Balotelli, who has netted seven goals for Olympique Marseille, is likely to lead the line for the hosts. Les Crocodiles sit in the middle of the Ligue 1 table and seeing that the hosts want this win more than the visitors, we are tempted to put our money on Rudi Garcia’s troops. 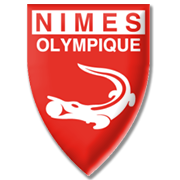 In the first half of the season Nimes defeated Olympique Marseille, meaning that OM are hungry for revenge. Dimitri Payet was born in Saint-Pierre, Reunion on 29 March 1987, but he joined Le Havre’s famous youth academy in 1999 and has since enjoyed a meteoric rise. The attacking midfielder started his professional career at Nantes, but top French clubs soon started casting admiring glances his way and he went on to represent Saint Etienne, Lille and Marseille, becoming one of Ligue 1’s leading footballers. However, it was the move to West Ham that placed Payet on the map as the Frenchman enjoyed a brilliant start to his career in England, making the PFA Player of the Year Shortlist. Some excellent performances in the Premier League persuaded France coach Didier Deschamps to reinstate Payet into his starting line-up and the midfielder paid the coach back with some scintillating displays on international stage. Excellent with the ball at his feet and very dangerous from set pieces, Payet quickly established himself as one of Europe’s top midfielders, with the likes of Barcelona, Arsenal and other top clubs now after his signature.